achievements. This year’s event was held at the Presidential Banquet Center in Dayton, Ohio. Approximately 200 community leaders, partners, Natural Helpers and Juvenile Court staff were in attendance, including members of the Lucas County Reclaiming Futures team. April in Dayton, Ohio generally means the win ter weather is starting to break. Snow showers and subzero temperatures are replaced with rain showers and flowers. For some neighborhoods in Dayton, Ohio the break in the weather brings light to a major issue. The issue of illegal dumping is highly visible once the piles of snow have melted away. In some instances, neighborhoods have been left with tons of trash and debris. For several blocks certain alleyways can be found with couches, mattress, appliances and construction waste. On April 1, 2015 Montgomery County Juvenile Court hosted its fourth annual community cleanup in the Fairview Neighborhood. This was a community effort, with multiple partners coming together to improve the appearance of one of our city’s neighborhoods. Celebrating 10 Years of Natural Helpers in Montgomery County, Ohio! On October 16, 2013, Montgomery County Juvenile Court, Judge Nick Kuntz and Judge Anthony Capizzi hosted the 10th annual Natural Helper Recognition Banquet. As one of the first Reclaiming Futures sites, this year’s celebration was significant as Montgomery County was celebrating its 10th year of our Natural Helpers Program. Volunteers and community partners that have made this initiative a success were recognized for their achievements. This year’s event was held at The Salvation Army, Ray and Joan Kroc Corps Community Center in Dayton Ohio. Over 100 community leaders, partners, natural helpers and juvenile court staff were in attendance. The evening also showcased the talents of many students from two local high schools. Kettering Fairmont High School Acapella Group, Eleventh Hour, and Stivers School for the Arts Jazz Ensemble provided entertainment for the evening. Special guest speaker Scott McGohan, CEO of McGohan Brabender provided an inspirational message for all in attendance. Judge Nick Kuntz and Judge Anthony Capizzi gave special recognition to 12 natural helpers for their years of service, assistance on advisory projects, and for their distinguished services to the youth of Montgomery County. Winston Churchill once said, "There’s just something about the outside of a horse that is good for the inside of a man." Horse therapy has indeed been proven effective in several different cases regarding mental health, addiction, physical therapy, and human development. Hardin County, Ohio is putting this idea to the test. Hardin County Reclaiming Futures has partnered with Serenity Stables Therapeutic Center Inc. to provide horse therapy to youth in the juvenile system through the Horse and Youth program (H.A.Y.). The H.A.Y. program will provide intervention strategies for the adjudicated youth who need a way to build self-confidence, leadership skills, and group interaction capabilities. The young people will have 12 weekly sessions to create a bond with their horse, as well as the people, of Serenity Stables. “The horses do not care who you are, what trouble you have been in, or what problems you may have. Each youth will be able to establish a bond with an animal that is totally non-judgmental,” Judge Christopher, Hardin County Juvenile Court, explains. This type of bond will serve to build confidence in the young people of Hardin County and help them develop a new, healthier mindset. Judge Christopher also believes the people of Serenity Stable, who have ample experience working with challenged youth, will serve to be positive role models for the participants. Preventing drug use before it begins, especially among our youth, is a cost-effective way to reduce substance abuse and its negative consequences. A great way to achieve this is by encouraging an overall healthy lifestyle, which is exactly what the Hocking County Juvenile Court (HCJC) did this summer in Ohio. HCJC partnered with North’s Fitness Center, a local gym, to invite 14 court-involved young people to exercise in their facility at no cost for the duration of the six-week summer program called “Crush-It Fitness”. Similar to programs like SPORT and InShape, Hocking County’s Crush-It Fitness was designed to channel the youth’s free time into something positive and guide them toward a healthier lifestyle—a tactic that can be very effective to prevent substance abuse and reduce recidivism. A celebration ceremony was held on Sept. 12, 2013 to recognize the young people who completed the program. They received t-shirts and positive affirmations. Participants gave mixed reviews on the program—mandating exercise is tough business! But, a combination of logistic and planning feedback came in that will help Hocking County succeed if they continue the “Crush-It Fitness” program in summer 2014. Congratulations to Reclaiming Futures Montgomery County! Under the leadership of Honorable Anthony Capizzi, this Juvenile Drug Court was recently awarded $975,000 from the Federal Substance Abuse and Mental Health Services Administration. The three-year Drug Court Expansion grant supports Montgomery County's efforts to unite juvenile courts, probation, adolescent substance abuse treatment, and the community to reclaim youth. Through this grant, Ohio will be able to serve an additional 45 families per year and 135 over the grant's three-year span. 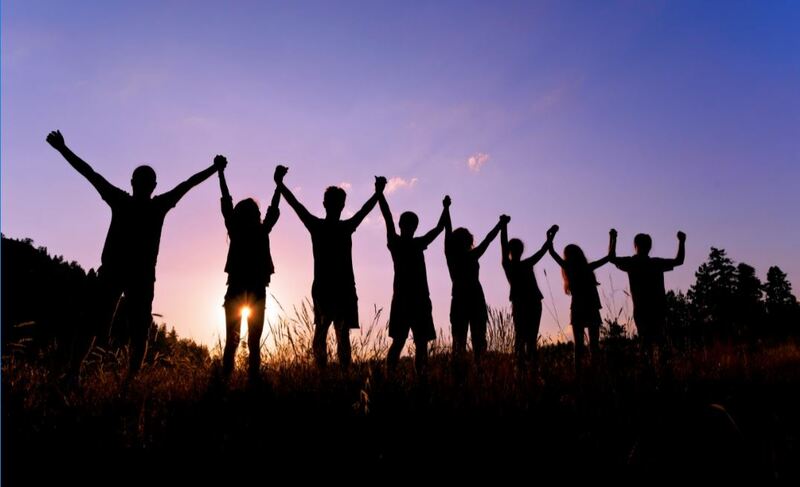 Together, they are improving drug and alcohol treatment and connecting teens to positive activities and caring adults. There is statewide interest in Ohio to expand the Reclaiming Futures model beyond the four current sites. If you know community leaders interested in breaking the cycle of drugs, alcohol and crime, or philanthropies investing in juvenile justice reform, we'd like to hear from you. For more information about bringing Reclaiming Futures to your community, please call Susan Richardson at 503-725-8914 or email susan.richardson@pdx.edu. Map at right illustrates current (blue) and potential (orange and green) Reclaiming Futures communities in Ohio. Have you ever wondered how you could make a difference in the lives of young people in your community? Less than one year into a $1.3 million grant, Lucas County Reclaiming Futures Project Director LaTonya Harris breaks it down for Leading Edge guest host Rob Wiercinski in Toledo, Ohio. Kudos to the Reclaiming Futures team in Hardin County, Ohio! Leaders in Hardin County, Ohio, are using the proven Reclaiming Futures six-step model and strong collaboration to break the generational cycle of drugs, alcohol and crime in their community. Stay tuned for an update about my recent site visit to Hardin County, Ohio. RECLAIM is an initiative funding program that allows county courts to implement community based programs in order to provide alternatives to juvenile incarceration for juvenile offenders or youth at risk of offending. The increased funding for counties is based on an equation that refunds counties for the time juvenile offenders would have spent if they had been committed to the Ohio Department of Youth Services (DYS) state facility. Like many states in the late ‘80s and early ‘90s, Ohio saw an increase in the incarcerated youth population. By 1992, the state reached an all-time high of 180 percent of capacity with many of the youth being first-time nonviolent offenders. The idea was that by better serving low to medium risk offenders through locally tailored community programs, admissions would decrease as well as recidivism rates. Reclaiming Futures Hardin County recently hosted our first annual Run for Recovery 5k Run/Walk & Kids Dash. The event was held in order to involve the community in the services offered from both Hardin Community School and Reclaiming Futures, while encouraging our youth to live a healthier lifestyle. The name Run for Recovery was chosen in order to incorporate Hardin County youth in all aspects of recovery, including education, along with recovery from drugs, alcohol, crime, and mental health problems. The race was held Saturday May 25th, 2013 at Hardin Community School/Lifeworks Center. Roughly 160 runners/walkers and youth took place in the 5k and kids dash. Each participant received a goody bag filled with local offerings and a Run for Recovery 5k t-shirt. Businesses, organizations and individuals from the community astounded us with their overwhelming support months leading up to the race! Nearly 40 separate entities showed their support with monetary donation, door prize donations, post-race refreshment, prizes for the kid’s dash, participants’ goodie bag contributions, and sponsorships for kid’s entry fees, not to mention the countless volunteers who helped with race preparation. Race morning was no different! Our team was greeted race morning with over 20 volunteers to help us organize. Volunteers from the Sheriff’s Office, Kenton Police Department, mentors, Hardin Community Schools’ 4-H chapter, and Hardin County Vietnam vets were on site to assist our team. Throughout the race, public bystanders lined the streets to watch as the race participants passed by their homes and offices. A huge hit for the crowd was seeing Hardin County Juvenile Court’s K9, Cory, complete the 5k with her handler Sheriff Deputy Rushing. Thanks to the teamwork of Hocking County Reclaiming Futures, many teens in Southeast Ohio are receiving the support they need to break the cycle of drugs, alcohol and crime. Reclaiming Futures teens are learning to give back too. By donating art objects for programming at the Bishop Educational Gardens, they are creating goodwill in the community. Kudos to Hocking County Reclaiming Futures for building educational partnerships for court-involved young people. Together, they are connecting teens to positive activities and caring adults. Since receiving a $1.32 million grant from the Office of Juvenile Justice and Delinquency Prevention (OJJDP), Lucas County, Ohio, has moved quickly to implement the Reclaiming Futures model. Per the model, teens will be screened for substance abuse and mental health issues directly after arrest and receive treatment as needed. Reclaiming Futures will be used as a model with 25 teenagers in the Lucas County Juvenile Treatment Court. There is a goal set to increase the capacity to 30 teenagers who will receive treatment each year. This would mean 120 teenagers will be helped by the grant during the four years. Harris said there is no end for Reclaiming Futures in sight, even if the funding from the grant runs out. Once it is implemented and the staff is fully trained, the program will stay intact for as long as the community wants it to be. Despite snow, ice, fog and temperatures around 15 degrees on January 25, nearly 70 leaders interested in juvenile justice reform, adolescent substance abuse treatment, public policy and philantropy gathered at the Columbus Foundation in Columbus, Ohio, to learn about Reclaiming Futures, a proven model for helping teens break the cycle of drugs, alcohol and crime. We were joined by Harvey Reed, Director of Ohio Department of Youth Services, to discuss how to unite probation officers, judges, substance abuse treatment professionals and community members to help teens in the justice system. Hardin County Reclaiming Futures was recently invited to speak to a local church group about their Recovery School (Hardin Community School) and Hardin County Reclaiming Futures Juvenile Drug Court. The church members loved hearing about the community initiative and wanted to reach out to the local youth by donating funds for a gingerbread house project. The project began on December 10, 2012 for the Recovery School students who had a week to complete their houses. Now that the houses are finished, we are holding a contest on our Facebook page for the best houses. Hardin County’s Reclaiming Futures Fellows are also invited to come in for judging and awarding prizes. Almost the entire student body at the recovery school turned out to participate in the project. Most students anticipated doing their own gingerbread house, but quickly realized that the task was not as easy as one would think and most began working together as teams to build the walls and the roofs. The houses were made of graham crackers and held together by a special icing to help hold the structure together. Decorations were available as multiple assortments of candies. There are a few immutable functions of government—and public safety is paramount amongst them. We expect our state and local governments to use our tax dollars to keep the public peace, to punish those who do wrong, and ensure streets remain safe for prosperous economic development. But as with all uses of taxpayer dollars, we expect Virginia to accomplish these goals effectively and efficiently. Outdated juvenile justice systems present an excellent example of the inefficient use of taxpayer dollars. For decades, juvenile justice systems have over-relied on secure confinement of juvenile offenders in state facilities. Unfortunately, this process of seeking to rehabilitate juvenile offenders is the most expensive and, typically the least effective option. Juvenile justice systems are unique from other public safety agencies as juveniles are treated differently than adult offenders, largely due to their age and capacity for change. Therefore, rehabilitation is an even more important goal for juveniles. The public benefit and cost savings that result from diverting a youth from a lifetime of crime, and putting them on the right track to a law abiding and productive life, are immense and should be prioritized. Regrettably, the evidence suggests that Virginia is falling short of this goal. More than 700 youths are in state lockups on any given day. Taxpayers pay $221 per day, per juvenile, and at an average time spent in the facility of 14 months, the resulting tab is almost $100,000.